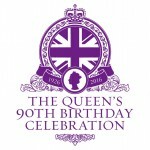 On Thursday 21st April the children will be celebrating The Queen’s 90th Birthday by dressing up in red, white and blue and by having a tea party in the afternoon. It will be a fun and fitting way to celebrate our monarch’s birthday. This is part of the schools work on British values. We welcome the children back to school today 11 April 2016 and hope that you have all had a pleasant Easter holidays.